First, as you might know, since 1980 (starting with Len Barker’s perfect game) there have been 13 perfect games — five of those in the last three years. And, not to belabor this point, it would be six in the last three years if the right call had made at the end of the Armando Galarraga game. It is obviously an unprecedented storm of perfectos. Wednesday night, Matt Cain threw a perfect game against Houston, and coupled with Phillip Humber’s perfecto earlier this year, that makes this the first season in baseball history that we have had a perfect game in each league. And we are only in June.A few words about Cain: He is only 27 years old. This seems almost impossible to believe. It feels like he has been pitching for the Giants at least since Marichal. He was called to the big leagues when he was 20, and he has pitched at least 190 innings every year since. 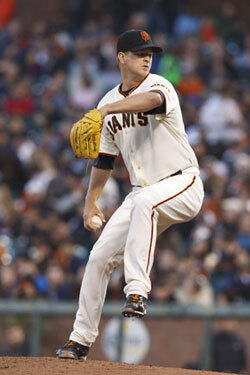 He has been the perfect antithesis to his pitching partner Tim Lincecum: While Lincecum has been spectacular, Cain has been steady; while Lincecum has been been quirky, Cain has been steady; while Lincecum has been mercurial, Cain has been steady; while Lincecum has led the league in strikeouts three times and won two Cy Young Awards, Cain has been steady; while Lincecum has been goofy and quotable and out there, Cain has been steady.